A Dhaka court on Monday scrapped bail of Ziaul Islam Munna, an accused in Zia Charitable Trust graft case. 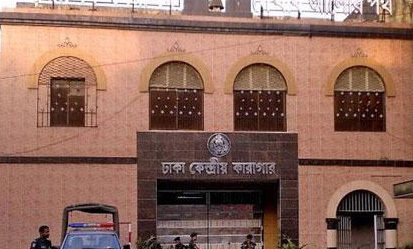 Judge Md Akhteruzzaman of the Special Judge Court-5 passed the order as Munna along with Monirul Islam Khan, another accused in the case, expressed no-confidence on the court. “Munna, former personal secretary of BNP chairperson Begum Khaleda Zia’s political secretary Haris Chowdhury, today pleaded to adjourn the hearing. As the court turned down his plea, Munna expressed no-confidence on the court. The court then scrapped bail of Munna, who was on temporary bail, and sent him to jail,” Anti-Corruption Commission (ACC) counsel Mosharraf Hossain Kazal informed, reports BSS. Meanwhile, counsels of top accused Begum Khaleda Zia today submitted a plea, seeking court’s order to take step in providing necessary treatment for their client. Earlier on September 20, the court had ordered that the hearing of the case will go on in the absence of Khaleda Zia, who refused to appear before the court on numerous times on health ground. The ACC filed the case with capital’s Tejgaon Police Station on August 8, 2010, for embezzling Taka 3.15 crore. Police on January 16, 2012, filed charge sheet against four including the BNP chief. The four accused in the case are- BNP chairperson Begum Khaleda Zia, her former political secretary Haris Chowdhury, Haris’s former personal secretary Ziaul Islam Munna and Monirul Islam Khan, former personal secretary of former Dhaka city mayor Sadek Hossain Khoka. Court framed charges against Khaleda and others in the case on March 19, 2014.